CoolPhotoshopTips.com — Starter Site Sold on Flippa: Hot Niche! 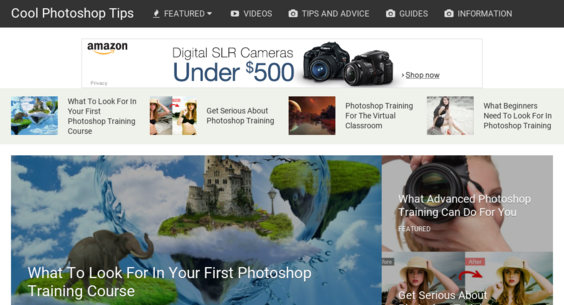 - Photography Blog - Amazon&Clickbank Ad Income! - BIN Bonuses!